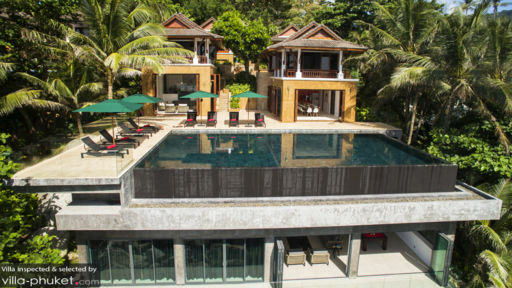 Kata and Karon - both popular family-friendly destinations with a lively beach ambience - are located along the western shores of Phuket, close to the southern top of the island. With restaurants and attractions peppered all around the vicinity, you’re almost always just a skip away from the heart of the action. Step out to Karon Beach to enjoy its myriad restaurants, shops and nightlife entertainment. There’s excellent snorkeling and diving towards the southern end, although the nightlife here veers towards a more raucous vibe after dusk. To unwind quietly in the evening, take a stroll along Karon Beach Road and enjoy a meal at one of the many waterfront restaurants clustered in the area. Another option is Kata Beach, with its palm-lined coast and numerous seafront restaurants. The northern end of the beach is great for snorkelling and diving, while the months of May till October offers ideal surfing conditions. When you’re not enjoying in-villa dining experiences, take your pick from the area’s wide-ranging array of restaurants and cafes. We like the breezy, relaxed vibes at Sabai Corner and Rum Jungle Cafe. 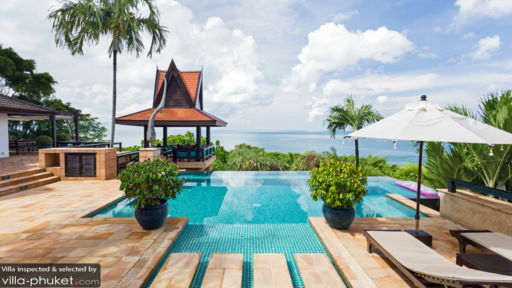 Bai Toey hits all the right spots when you’re craving for Thai food, and if it’s a fine dining experience you’re after, check out Mom’s Tri Villa Royale or Top of the Reef (Cape Panwa Hotel). Our go-to venues for sundowners are Ska Bar, Heaven Rooftop Bar and After Beach Bar. 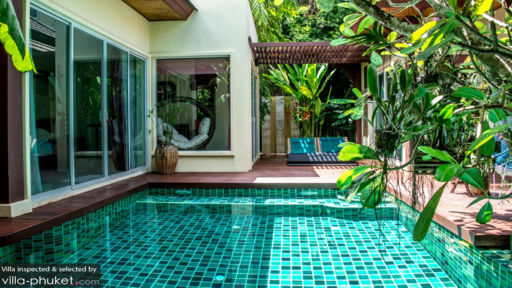 Away from the beach, there’s flowriding, Thai cooking classes, luxury spa treatments and yoga classes. Flowriding at Surf House Phuket is a great family experience, as are cooking lessons at Kata Thai Cooking Class or The Boathouse. Belove Yoga Rooftop Studio offers both group and private yoga classes. And as its name suggests, Infinity Luxury Spa has all the right amenities for an ultimate chillout experience. Take your pick from a spa menu featuring Thai massages, facials, body scrubs, wraps and blessing rituals. Aside from rooftop bars, some of the best sunset vistas may be enjoyed from attractions like Promthep Cape and Windmill Viewpoint. The former is a popular site that buzzes with visitors throughout the day - so we’d recommend visiting the latter for a crowd-free experience. Wat Kittisankaram, a vibrantly coloured temple complex is located just six minutes’ drive from Karon Beach. Further out is Old Phuket Town. The area is known for its stunning Sino-Portuguese architecture and mansions, which are best enjoyed through a walking tour about the town. Along the way, stop by at one of the many cafes, restaurants, museums and temple complexes lining the street. Need help with itinerary planning? Your villa manager will readily assist - whether it’s booking sightseeing tours or arranging for vehicle rental. We’d love to share about the best attractions on the island, so feel free to reach our travel consultants for further information!